It has been over four months since the end of the ELI Pedometer Challenge, and until this week, I hadn't walked that much. However, this week, I have Tuesday, Wednesday, Thursday, and Friday off, so I decided to do some walking. 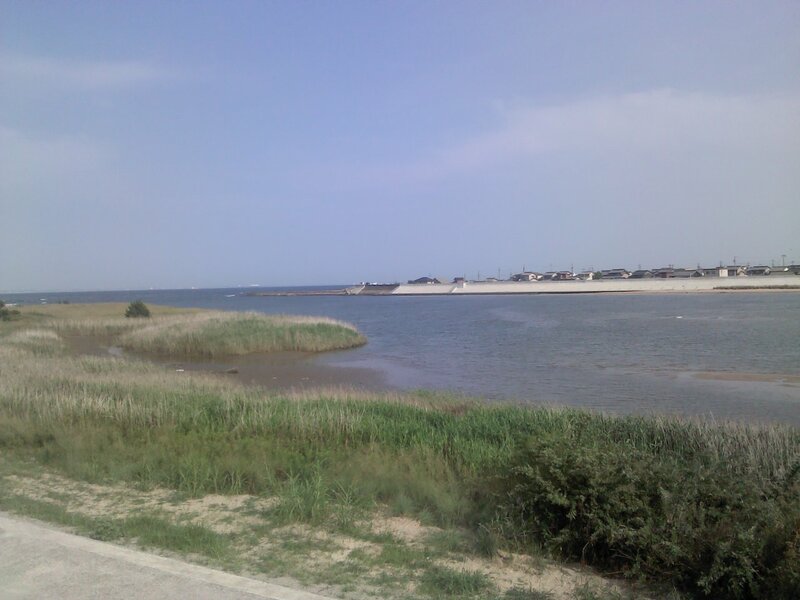 On July 17, I walked to Shiohama (a beach on the border of Yokkaichi and Suzuka) and went swimming, then walked back. 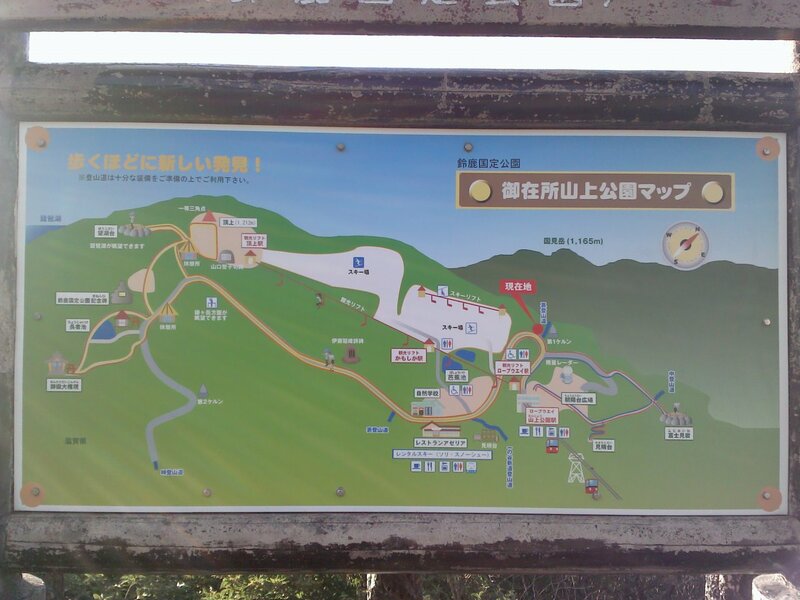 Round trip, that was 11.6 km. 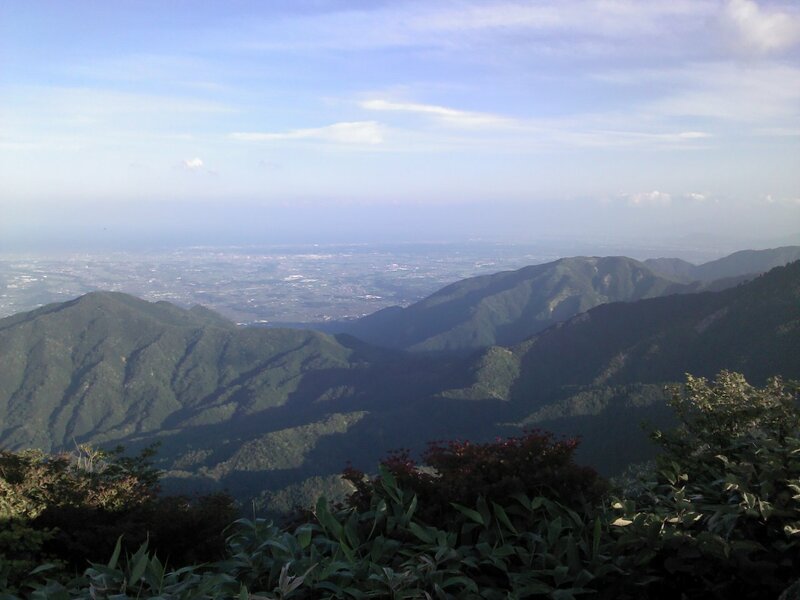 Then, the next day (July 18), I walked from Yunoyama Onsen Station to the peak of Gozaisho, again, and then back down again (whereas the last time, I had reached the peak on foot, but descended by ropeway car, this time, I went both up and down on foot). Here are some photos from those trips. I will also upload two more things: my official Pedometer Challenge Tracking Form (from the competition), and my opinions on how the challenge could be improved. These latter two things will come at a later date than the photos. On Wednesday, I jogged 5.8 km to Shiohama (a beach). It took only 57 minutes to reach the beach/water. 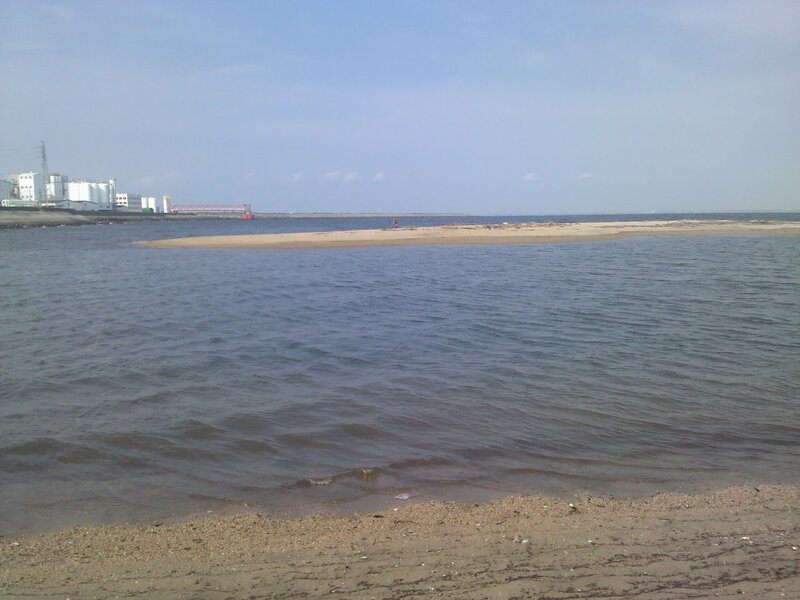 I went swimming in the Suzuka River and Ise Bay (they join each other at Shiohama). I swam across part of the bay slightly outside the mouth of the river into Suzuka City, then waded back across the river to Yokkaichi. 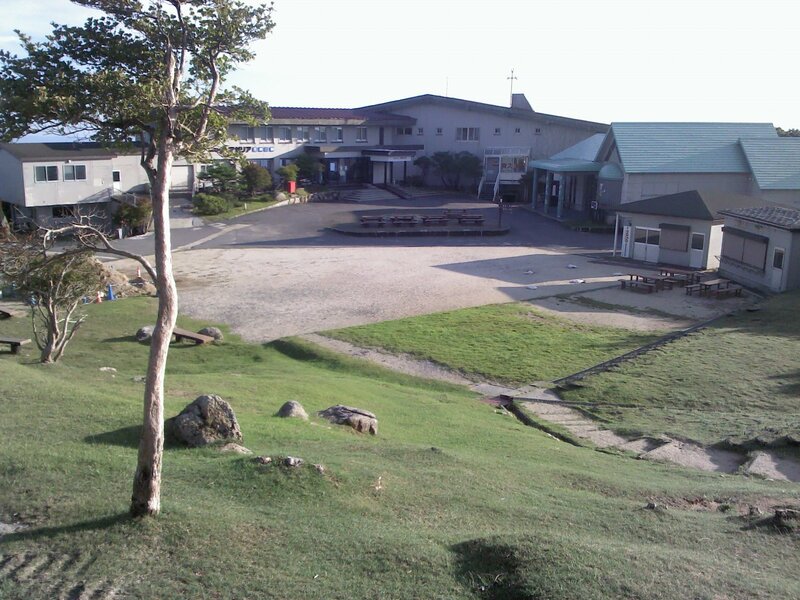 There was only one person on the Yokkaichi beach (someone going fishing); the Suzuka beach had four people on it. 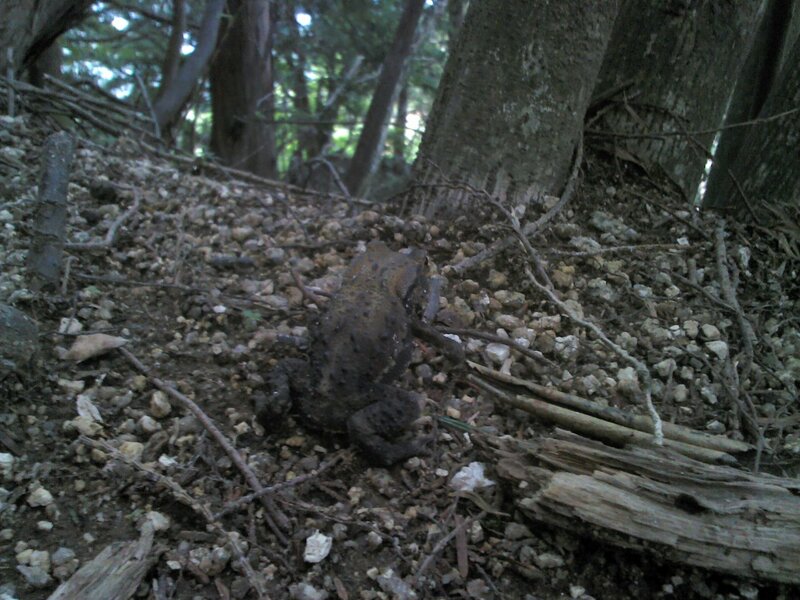 On the way back from Shiohama, I found this (dead, unfortunately). 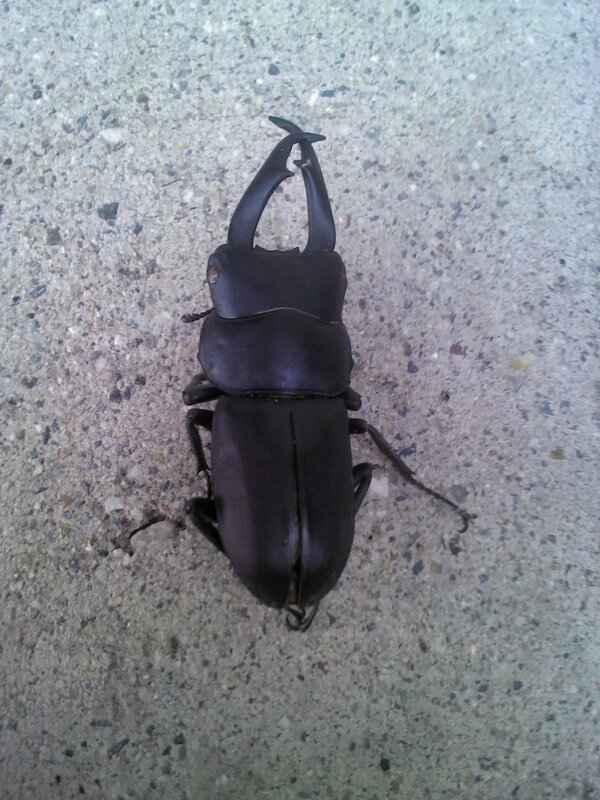 It was a kuwagata (a Japanese type of stag beetle). 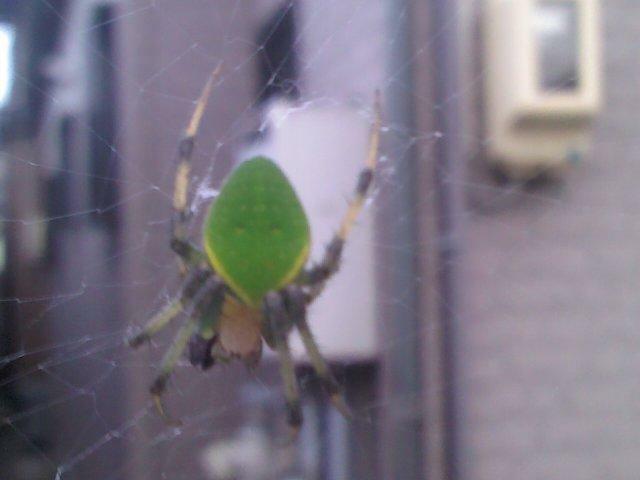 This was some kind of interesting green spider spinning a web outside someone's house. I kept trying to get good pictures, but that spider just kept moving around too much, busily spinning its web. This was the best one I could get. On Thursday, I decided to climb Mt. Gozaisho again. I had climbed it before, but it had taken about four hours to reach the summit (in winter, with temperatures of -6 degrees Celsius, when it was snowing). 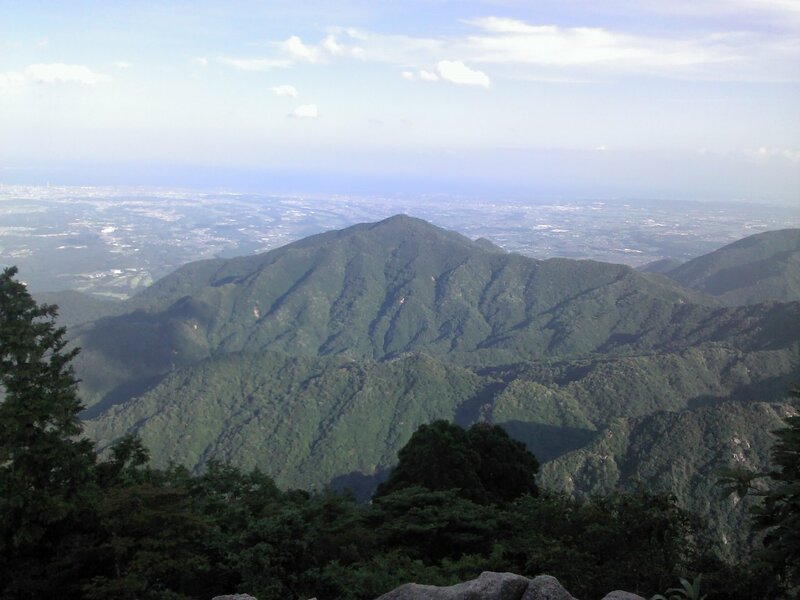 I was bothered by the fact that elementary schoolers used to hike this mountain, and it is only supposed to take about two hours to reach the peak, so I decided to try it again in better (summer) weather. Sure enough, I ascended easily. It only took 1 hour, 54 minutes. On the way up, I saw this Japanese rat snake (青大将, or aodaishō, which literally means "green general" or "green admiral"). 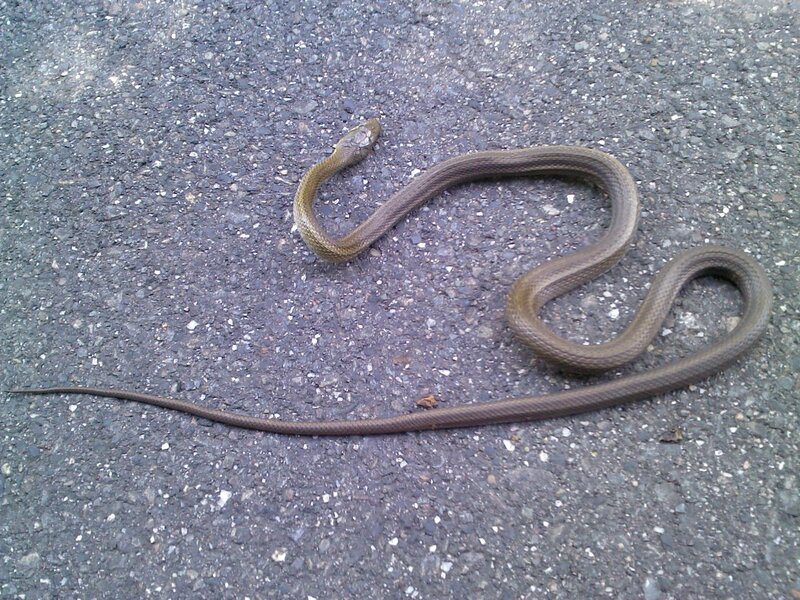 This one was dead, but the one I saw a bit later was very much alive and slithered away before I could take a picture. Fortunately, the Japanese rat snake is not poisonous. This is the 8th Station. 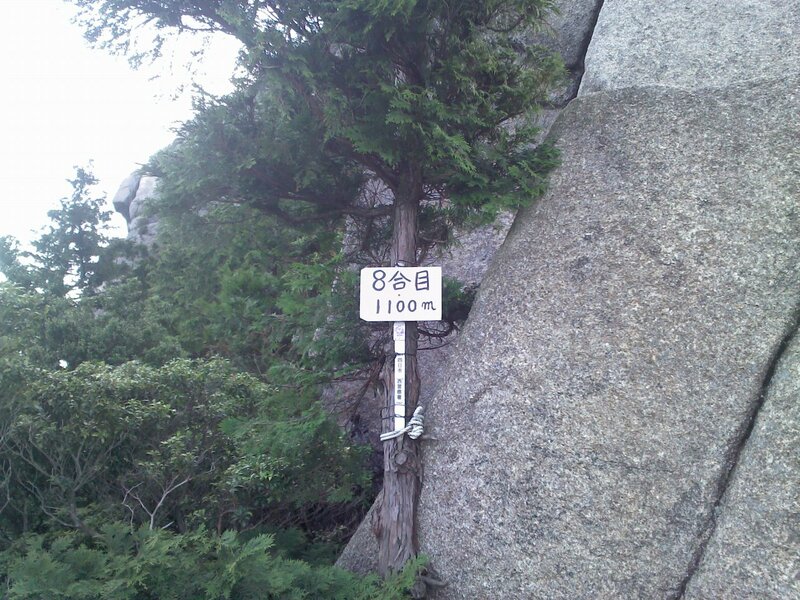 Its elevation is 1,100 meters. This is me at the marker for the peak. 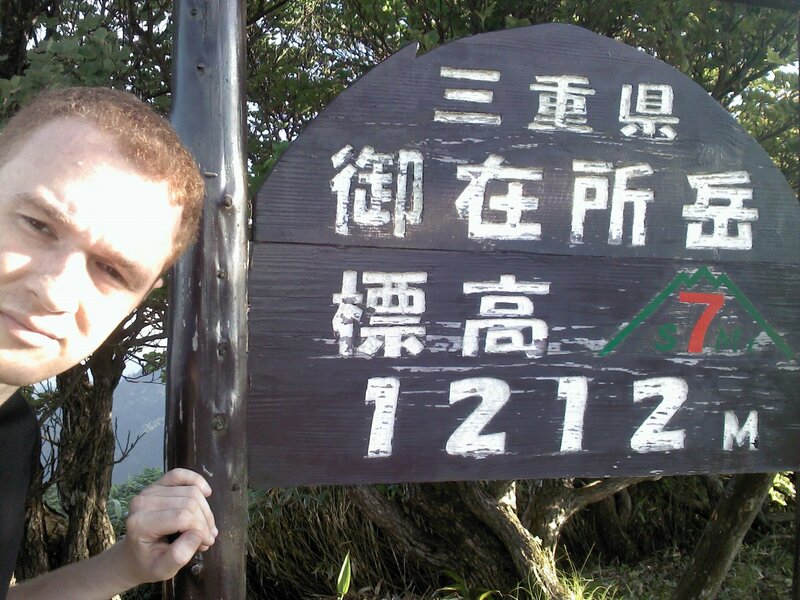 The sign, which I am touching in the picture, says "Mie Prefecture Gozaisho Peak Elevation 1212 M."
Eventually, I descended the entire mountain (including a bit of hiking after sunset, not my favorite type), and then went all the way back down the road to Yunoyama Onsen Station and caught a train to Yokkaichi. I had traveled 15.4 km according to Google Maps, though that isn't counting the number of times I took the wrong trail and turned back (I was never truly lost, but I did get onto some trails sometimes and say to myself "hey, this really doesn't seem like the right trail" and then turn back to the nearest point where I knew I was on the right trail), or the 1.212 km that I traveled vertically. My total step count had been calculated 180,000 steps short! K. James was proclaimed the winner! It still said "2nd place" next to my name even though my step count was correct and I was at the top of the list! Well, I was out of energy to fight this, at that point. I mean, I had just walked over 50 miles in one calendar day just a few days ago, and just didn't have the energy, between my two ELI courses and my full-time job, to spend on this anymore... I figured, "Okay, so it still says 2nd next to my name, but surely she knows I'm 1st place, right?" Wrong. So that, right there, was the biggest problem—kids, don't bother to do your best. Because if you do, someone else will do less work than you and end up with 1st place! 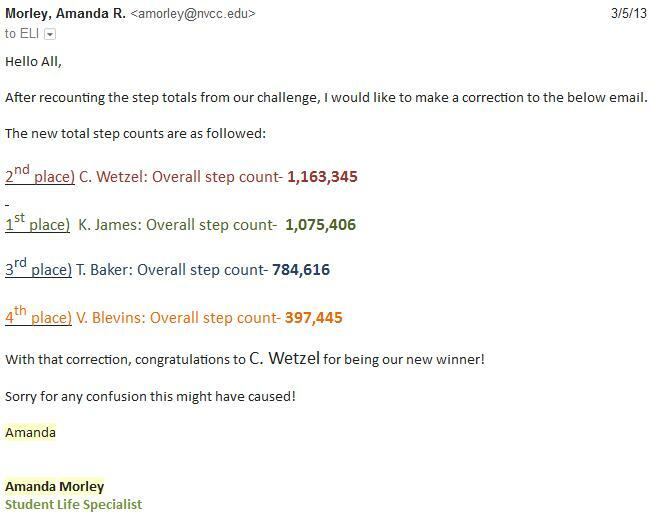 The second problem with this ELI Pedometer Challenge was the Virtual Student Union. There was a discussion group on the ELI Virtual Student Union, which I tried to join, but due to technological glitches, was never able to join. I contacted various people at NOVA including Amanda Morley, who basically just wished me luck with logging in, and didn't try to resolve the situation. When the winner of the challenge cannot even log in to chat about the challenge he just won, that's a problem. I mean, seriously, my photo essay was posted on the forum, and I couldn't even read what people said about me! That's not fair! The third problem is that the whole thing was based on the honor system. I think that serious competitors in a pedometer challenge should be required to produce photographic proof of their steps. That would help reduce people who just type in a random (high) number of steps. I'm not sure whether any of my competitors were doing this or not (probably not, but there's no way to know). I produced photographic proof for all my steps. The fifth problem (a distant fifth, this is not such a serious issue) was that the ELI Pedometer Challenge was held in February and early March (i.e. winter). Therefore, the contestants had to brave snow and freezing rain to do it. Hiking in the mountains would be a great thing to do during such a pedometer challenge, but most mountains are extremely dangerous in winter (I did it anyway, but it was not safe, and I ended up with frostbite). I think this challenge should be held in the spring, summer, or fall, not the winter. The ELI Pedometer Challenge was worth entering. I have many stories to tell people, now, lost several kilograms of (excess) weight, and won an athletic competition. That was great, and I do not regret entering. However, these issues need to be addressed, as some of them are rather serious!